CHRISTMAS || Christmas at Esquires Coffee Coventry. Christmas is well and truly on it's way...the lights have been switched on, shops are filled with gifts and decorations, mince pies are everywhere you look and christmas shopping is on the to do list! And one of my favourite things to do when Chtistmas shopping, is taking a well needed break with a festive drink and something to eat. 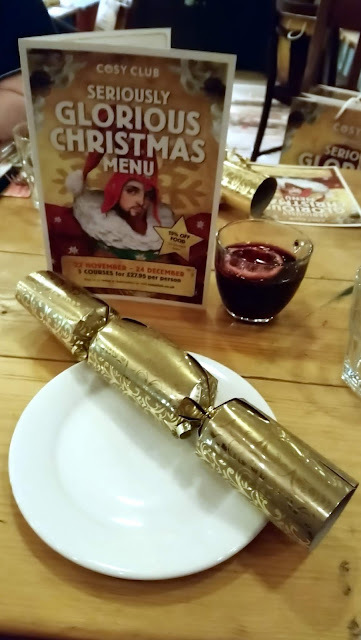 And recently, me and a few of the girls from Cov Bloggers were invited down to Esquires Coffee to try their new christmas drinks and food. When i first entered the shop I was blown away by their attention to detail with the display they had set up. It was the most Christmassy thing I had seen...and made me want to put my decorations immediately... It was gorgeous! And filled with the so many tempting treats for our taste buds. LIFESTYLE || Ballxrs Coventry... Coventry's one and only adult ball pit! As a kid, one of the best things was Soft play, especially if they had a ball pit! I would spend most of my time in the ball pit, throwing balls around, hiding from my sisters or friends, or just diving endlessly into the pit...childhood heaven! So when adult ball pits started to pop up around the country, the excitement started to build. And when I found out one was opening in Coventry, I couldn't contain my excitement! So when a few of us from Coventry Bloggers got invited along to see what it was all about, of course I had to go! Ballxrs owner Sam Burne, who is a Coventry local too, wanted to open a bar where there is actually something to do other than stand around and drink, and the outcome was Ballxrs... a all in one activity bar. And its definitely something special! The bar itself is a great size, plenty of space to move about. The booths are for private hire, so they could do with a few extra seats around but apart from that it was great.